February 12, 1947. A new couturier became an international triumph with his very first show. Christian Dior’s silhouettes are an ode to femininity, with slender waists and skirts that bloom like corollas. He wanted this new regal allure to bring a smile back to women’s faces after the gloomy years of the war. To give them unparalleled weapons of seduction. At the same time, this optimistic fun-lover had a stroke of genius: to create a perfume in the image of his dresses. An elegant chypre composition with a bold yet sophisticated sillage. And so, in 1947, Miss Dior was born, an ebullient, cajoling fragrance in which Jasmine from Provence mixes with sensual mosses and a surprising green note of Galbanum. Sprayed generously around the rooms, the first Dior perfume instantly charmed the audience at the New Look show. And hooked countless women, who flocked to 30 Avenue Montaigne to offer themselves this youthful, elegant Miss Dior. Spring is in bloom at 30 Avenue Montaigne. Miss Dior Blooming Bouquet is a subtle floral composition that celebrates the beauty of flower buds and the velvet softness of petals. It is a delicate evocation of Christian Dior’s legendary love of flowers. Its subtle shades of femininity follow the new clean lines and floral colour codes in the silhouettes composed by Raf Simons for Dior Haute Couture. It is a soft and gentle fragrance with a bucolic caress. The perfume of a new era, an ode to flowers for today’s Dior woman that also tells the story of an iconic dress, a blooming dress-bouquet that was made to adorn Christian Dior’s feminine ideals. At Dior, flowers reign surpreme. Miss Dior Blooming Bouquet upholds this credo. Its elegant composition is an invitation to a delicate springtime bouquet that reveals the softly swathed sensuality of tender notes. 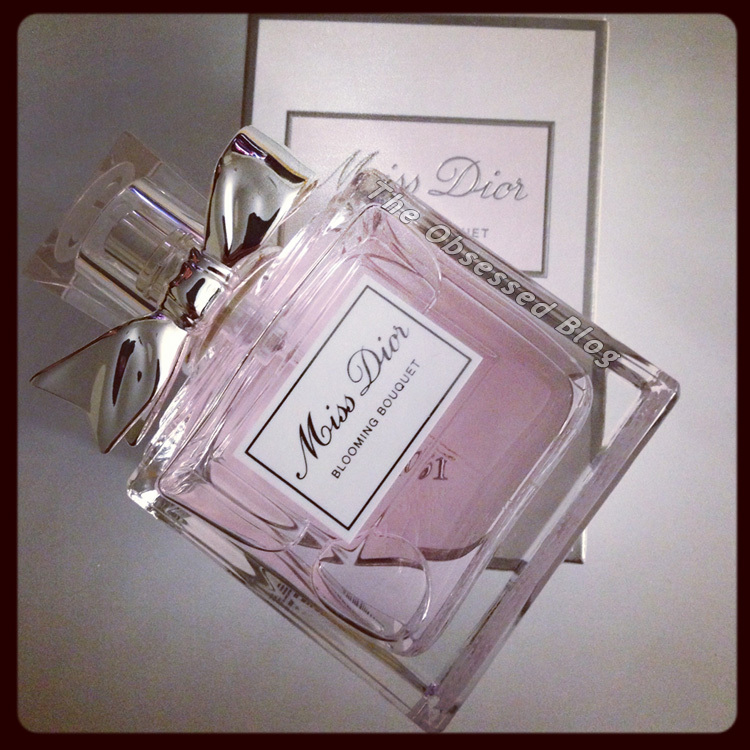 Subtle, delicate and floral, Miss Dior Blooming Bouquet is a singular signature that radiates around a Peony accord. A harmonious composition that softly exalts Sicilian Mandarin Essence and Rose Essence on a velvety cushion White Musk base. Sensually charming but unostentatious, Peony is at the heart of the melody in Miss Dior Blooming Bouquet. Or rather, a Peony accord, for everyone knows that this fragile flower cannot be coaxed and is so delicate to handle it has not yet been able to deliver its natural essence. Its unique sillage can only be obtained by creating an Accord where Rose and fruity notes of Apricot and Peach compose a stirring evocation of this flower’s sublime scent. An elusive Peony that seems to have been recreated in a trompe-l’œil effect, just like the Miss Dior dress that bloomed in the Trompe-L’Œil collection in 1949. A floral signature that seals the discreet sensuality and tender charm of Miss Dior Blooming Bouquet. The most Couture fragrance of all had to be elegantly dressed. At first Miss Dior was housed in an amphora whose harmonious curves were moulded along the En Huit lines of the New Look. Then the famous bottle “tailored like a suit” made its mark in the early 1950s, matching the new verticality that inspired the couturier after the round shapes of the New Look. Its strict form was crafted like a fabric draped to hang just right. Houndstooth was added, like a flattering motif, engraved in its glass sides. For the final touch, a Couture bow knotted at its neck recalls how the couturier loved to highlight a décolleté or the small of the back. Like a springtime bouquet, the rosy jus is coloured a tender shade. All these emblematic details underscore the importance of the Dior touch. Legendary codes that express eternal elegance. A soft floral fragrance with just enough sweetness to be feminine, Miss Dior Blooming Bouquet is elegant without being overpowering. It truly is a “cocoon fragrance” that evokes sensuality and seduction. It is the perfect spring scent; intoxicating in the softest sense, almost like a whisper that leaves you (and him) longing for more. I am in love. 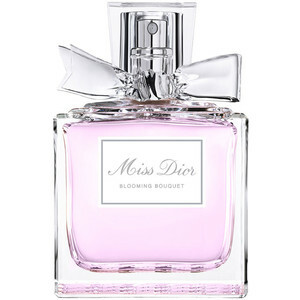 Miss Dior Blooming Bouquet 50 ml retails for $82 Cdn and 100 ml for $107 Cdn, and will be available exclusively at The Bay Dior counters and TheBay.com February 2014. Available at all other Dior counters May 1, 2014. For more information (no shipping to Canada), head to Dior.com!